Welcome to ECO Science Foundation (ECOSF), a Specialized Agency of the ECO for promotion of Science and Technology leading to economic development. The Basic Charter of ECO was formed under the Treaty of Izmir as a result of the meeting of the member countries held in Izmir, Turkey on 12th March, 1977. It envisaged the establishment of ECO Science Foundation as a specialized agency of ECO to function as a reservoir of highly skilled scientific and technical manpower and to facilitate promotion of scientific research among the Member States. The ECO Council of Ministers (COM) at its 3rd meeting held on 6-7 Feb, 1993 at Quetta, Pakistan called for establishing such an institution by 1995. The Charter of the Foundation was signed by all the 10 Member States at the 3rd ECO Summit in 1995 at Islamabad, however, so far only Afghanistan, Iran, Pakistan, Tajikistan and Turkmenistan have ratified it. 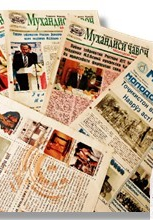 Other Member States viz., Azerbaijan, Kazakhstan, Kyrgyzstan, Turkey and Uzbekistan have to rectify the Charter. 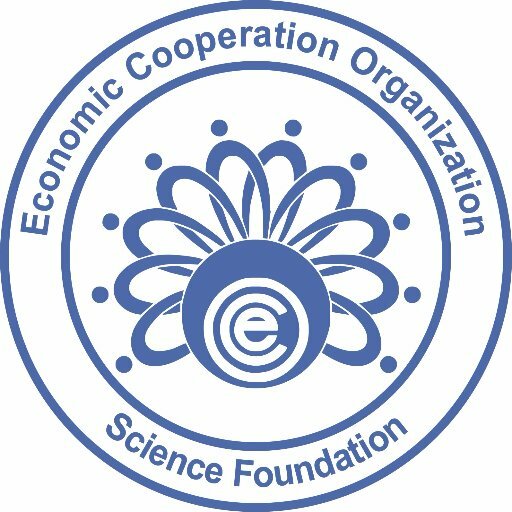 The Istanbul Declaration issued at the 7th Summit on 14 October, 2002 called for an early establishment of the ECO Science Foundation. The 12th and 13th Regional Planning Council in its meetings in March 2002 and April 2003 respectively also expressed the hope that the Basic Document of the ECO Science Foundation would be finalized soon enabling the concerned Pakistani authorities to convene the first meeting of the Board of Trustees (BoT) of the Foundation to approve the document. The 1st Expert Group Meeting (1st EGM) was held in Islamabad on 3-4 September 2007 to discuss and finalize inter alia the Additional Protocol to the Charter of ECO Science Foundation which was subsequently approved at the 17th COM meeting held in Herat, Afghanistan. The 2nd EGM was held in Tehran, Iran on 30-31 August, 2010 to review the progress made for establishment of ECOSF with particular reference to decisions made in 1st EGM and prepare for the 1st Meeting of Board of Trustees of ECOSF in Pakistan in the chairmanship of Minster for Science and Technology, Government of Pakistan. The 2nd EGM finalized all the basic documents and recommended for approval by the Board of Trustees of the Foundation. The 1st meeting of Board of Trustees (BoT) of ECO Science Foundation was held in Islamabad, Pakistan on 20 December, 2011 preceded by a High Level Expert Group (HLEG). The BoT meeting was hosted by the Government of Pakistan, wherein, the Basic Documents of ECO Science Foundation were approved making it functional as a specialized agency of ECO with its own charter, legal personality and autonomy in management to function as a reservoir of highly skilled scientific and technical manpower and to facilitate promotion of scientific research among the member states. The Government of Pakistan has allocated office space to the Foundation in its newly constructed building of Ministry of Science and Technology. The Foundation, in a short span of time, has been accredited as an Observer/Stakeholder of the Intergovernmental Science and Policy Platform for Biodiversity and Ecosystem Services (IPBES) based in Bonn, Germany. A meeting was held between Prof. Manzoor H. Soomro, President ECOSF and Prof. Odinazoda Haydar Odina Rector Tajik Technical University on 17 April 2018 at the office of the Rector Tajik Technical University, Dushanbe. The purpose of the meeting was to discuss the progress/status regarding Engineering Qualification Standardization as per the standards of Federation of Engineering Institutes of Asia and the Pacific (FEIAP) introduced last year (March 2017) during a two-day workshop/meeting held in Dushanbe. The Rector warmly welcomed the President ECOSF at the University and thanked him for the support of ECOSF and its partners for the cause. During the meeting, the Rector said that they are committed to the cause, accordingly, things are moving in a right direction but there is a shortage of experts in Tajikistan for preparing accreditation documents where they need help from the ECOSF and FEIAP. President ECOSF thanked the Rector for a warm gesture and arrangement of the meeting on a short notice. Prof. Soomro on his question was informed that Tajikistan is so far following the standards of Europe such as EURO-ACE. Regarding the shortage of the experts for accreditation documentation, Prof. Soomro said that it was agreed during the meeting held in Jakarta-Indonesia (Dec 2017) that Pakistan Engineering Council (PEC) will provide the technical support on behalf of ECOSF and FEIAP. President ECOSF suggested to form a working group for this purpose which was appreciated and agreed upon by the Rector and he offered the local hospitality for to the experts visiting the University for 2-3 days. It was also agreed that the ECOSF and UNESCO may also hold a meeting with the Ministry of Economy and Development, once the University takes the Ministry on board for ownership of the initiative. Prof. Soomro further said that the future of engineering in Tajikistan is brighter and suggested that there may be an Engineering Institute like PEC to ensure quality monitoring and regulate the engineering processes for Academia and the Industry in Tajikistan. He also hoped that Tajikistan can take the lead in engineering qualification standardization in Central Asia. The Vice Rector Prof. Mamadamon Abdulloev was also present during the meeting. It is pertinent to mention that Prof. Abdulloaev has been participating in previous two workshops and has been communicating with ECOSF and UNESCO on behalf of his University. The meeting was ended with vote of thanks and the commitment to achieve the goal of engineering qualification standardization in Tajikistan. ECOSF and UNESCO in partnership with the Academy of Sciences, Republic of Tajikistan, Tajik Technical University, FEIAP, ISTIC and PEC organized an International High Level Policy Forum and Workshop on EQSAPS in Dushanbe. The purpose of the workshop was also to assess and review the existing engineering curricula offered in Tajikistan with the objective of harmonization and standardization of curricula within the country with the FEIAP engineering qualification guidelines. The Tajik Technical University adapted the International Standards of Higher Professional Education to educational standards that based on framework of the Engineering Qualification, Standardization, Accreditation and Professional System (EQSAPS) in Tajikistan Programme to promote an exchange of students, post-graduate students and teachers, an establishment of scientific cooperation in areas, representing mutual interest, accept to the protection of the dissertation on specialties, assist in the increase of scientific qualification of scientists and teachers. In addition, exchange experience in the development of the advanced methods of training, promote an exchange of materials on leaders to researchers, organize symposiums/ seminars and conferences for staff and lecturers, develop and realize programs based on FEIAP accreditation and standardization. The roadmap is aimed at extension and adaptation of the FEIAP guidelines on engineering qualification standardization to countries of ECO region with focus on Central Asia region.